Today I'm wearing Glam Polish - It's So Fluffy I'm Gonna Die! 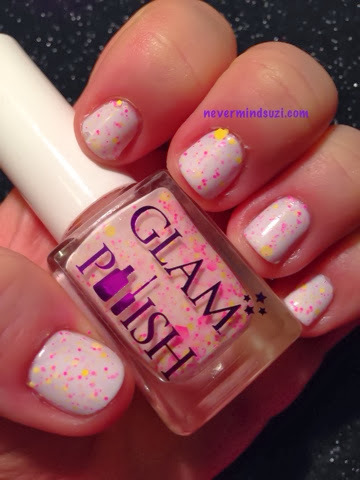 Another minion inspired polish by that Australian genius Glam Polish. 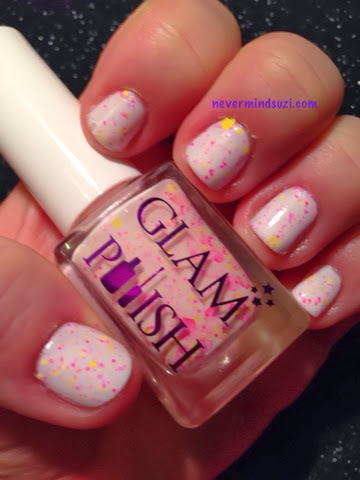 A gorgeous white polish full of various sized pink and yellow glitters. These are the colours of Agnes' beloved Unicorn that Gru won for her at Super Silly Fun Land. 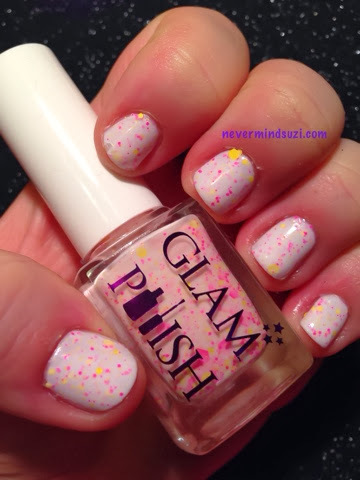 I like Agnes am a HUGE unicorn fan, this polish was so pretty I wore it 2 days in a row, a rarity for me.